If You Can Ride a Bike you can Ride the Twin Coast Rail Trail. The hirer is responsible for all hired items provided by Top Trail Hire and Tours Limited for both themselves and any other rider included in the tour during the period of responsibility. Where Cycle locking devices are provided it is expected that the hirer will employ the lock (devise) for the protection of the property of Top Trail Hire and Tours Limited. An open credit card imprint may be taken as security. The Trailer remains at all times the exclusive property of Top Trail Hire and Tours Limited. The hirer obtained possession by way of bailment and does not acquire any proprietary right or interest in the trailer. The trailer is acknowledged to be received in good condition. The hirer will return the trailer upon completion of the period of responsibility in the same order and condition as received fair wear and tear alone accepted and will not alter or otherwise interfere with any plates or documents required to be carried within the trailer. The trailer will not be used for the carriage of persons. The hirer will comply with all statutes, regulations and other requirements governing the use of a trailer and warrants that he holds a current drivers licence. Retention of the trailer after the return time of the hire will amount to unlawful conversion and without prejudice to other remedies Top Trail Hire and Tours Limited may recover costs and overdue charges at the rate of $200.00 per day until return of the trailer to the site hired from and including all transport costs. The cost of any damage that has incurred during the period of responsibility up to the point of return to Top Trail Hire and Tours Limited. Any payment for damage/repairs is to be made within 30 days of invoice date unless otherwise agreed in writing by Top Trail Hire and Tours Limited prior to the repair taking place. The Hirer agrees that Top Trail Hire and Tours Limited property remain in his or her possession during the period of responsibility. In the event of any accident the hirer will report immediately when possible to Top Trail Hire and Tours Limited and co-operate fully with Top Trail Hire and Tours Limited’s insurers. 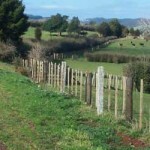 Top Trail Hire and Tours Limited will not be liable for any loss or damage of any kind whatsoever whether suffered or incurred to Top Trail Hire and Tours Limited or third parties whether such loss or damage arises directly or indirectly from the hire of Top Trail Hire and Tours Limited property. The hirer accepts full responsibility for all damage, loss or consequential damage to a third party arising from the hire of or use of property belonging to Top Trail Hire and Tours Limited. For each rider a deposit of 25% of the total cost of the Tour as quoted and accepted is required to make a reservation. In the event of a cancellation of the reservation within thirty (30) days of a tour no refund will be made. For periods longer than thirty (30) days a refund of the reservation fee less a $50.00 booking fee for each booking will be made. No agreement shall exist between Top Trail Hire and Tours Limited and the customer until a reservation has been made and acknowledged in writing by Top Trail Hire and Tours Limited. Credit card payments may attract a 2% surcharge. The balance of the total cost of the arranged tour shall be paid thirty (30) days before the commencement of the tour. Cancellation by the client within the thirty days of the commencement of a tour will result in no refund. Top Trail Hire and Tours Limited reserves the right to cancel any tour if minimum numbers have not been reached or for reasons beyond our control. In this event we will endeavour to provide a full refund. Top Trail Hire and Tours Limited reserves the right to resell reserved spaces without notice if payment has not been made in full by the required date. 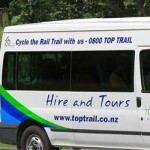 Top Trail Hire and Tours reserves the right to decline to accept any participant or hirer at any time. Top Trail Hire and Tours Limited reserves the right to amend services or prices should it become necessary in either the interests of safety or unforseen circumstances. We undertake to advise clients as soon as possible of any changes to service, schedule or price. In addition the client will not make any claim against Top Trail and Hire Limited or its officers or employees or agents in respect of their taking part in the activity, including for any injury, loss or damage suffered by themselves or others. If any complaint should arise during the tour the client should inform Top Trail Hire and Tours Limited personnel as soon as possible and we will endeavour to rectify the matter. If the complaint cannot be resolved at the time the client should write to Top Trail Hire and Tours Limited within twenty eight (28) days of completion of the activity. The Laws of New Zealand apply. Each client agrees that these laws are binding on themselves, their heirs, their legal assigns, administrators and executors.